On the morning of April 14th, 1981, my third grade classmates and I packed on to buses and headed to the dry lake bed that was home to the flight line at Edwards Air Force Base, California, to witness history. That morning, Columbia – the first Space Shuttle – landed in the Mojave Desert, marking the return to Earth of NASA’s first reusable space craft. For this third grader, it was a damned cool experience. Being an Air Force brat definitely had its perks, and I got to see one more shuttle landing before my dad got reassigned to West Germany the next year. I can still vividly recall the excitement felt that morning as Columbia glided towards the ground. That emotion was rekindled in recent days while listening to Amy McCarley’s new record, MECO. McCarley, who left a career in NASA working as a contractor on Space Shuttle missions to hit the road as a musician, titled her recent record with the acronym (in the space world) meaning main engine cut off. The space jargon is meaningful, reflecting McCarley’s own disengagement from her main engines – the security of a nine-to-five – to maintain her own momentum as a musician. 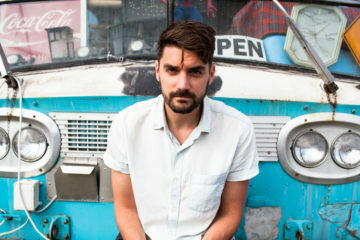 I recently caught up with McCarley to chat about the new record, Space Shuttle memories, and how life really is funny. BRO – How difficult was it walking away from NASA and a secure career to focus on music? AM – It wasn’t easy. Terrifying is a good word to describe it, actually. But it would have been hard and more painful to have stayed and retired from there never knowing what might have happened had I really tried to pursue the musical path more fully. AM – Yes! That’s awesome. I never did get to see a landing, although I must say that the launch I saw with my contract cohorts and then-deputy general manager, former astronaut Jan Davis, was nothing short of spectacular. BRO – How was it having Marty Stuart in the studio with you? AM – Amazing. I am a long time fan and couldn’t hardly believe he was there to play on my album. It was a surreal moment and such a tremendous honor. Plus, he’s just really easy to be around and we had a lot of fun hanging out that afternoon, laughing and trading stories. I will always look fondly on that opportunity with gratitude. BRO- We are featuring “Ain’t Life Funny” on this month’s Trail Mix. What’s the story behind the song? AM – I wrote it with my good friend Pat Algerup in Nashville. The song celebrates how that even though happiness tied to an external outcome is ultimately fleeting because wants and needs are always changing and nothing is ever lasting or certain, we still manage to justify our time setting goals and making plans. I feel like that is a funny thing about this experience we call life. BRO – Last time you had a big ol’ belly laugh? 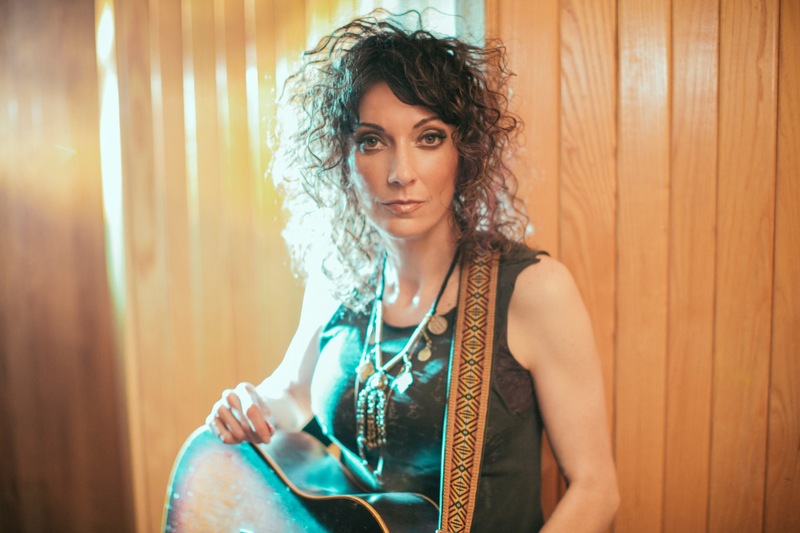 Amy McCarley heads to Montreal, Canada, next week for the Folk Alliance International conference before returning for a show in Nashville later in the month. For more information on Amy McCarley, to check on tour dates, or to find out where you can grab your copy of MECO, please check out her website. And be sure to check out “Ain’t Life Funny,” along with new tracks from Galactic, Darlingside, Dale Watson, and many more on this month’s Trail Mix. OForce Base in California to witness a bit of history.